We were on the market for a car seat and I'd chosen the Babystyle Oyster Baby Car Seat at £74 to go with an Oyster Lite that I was about to receive from a lovely blogger friend. I wanted it in time for the all important hospital discharge and we were buying it at this late stage as up to now, we'd planned to reuse Aaron's. So, Tuesday 19th Jan we went into a gorgeous huge Mothercare superstore, where we felt sure we'd either walk away with it same day, or get it on a 24 hour order (like at Xmas when I ordered Aaron's Kindle Fire instore at John Lewis from JohnLewis.com and collected it instore 24 hours later - Xmas rush didn't stop that being possible). 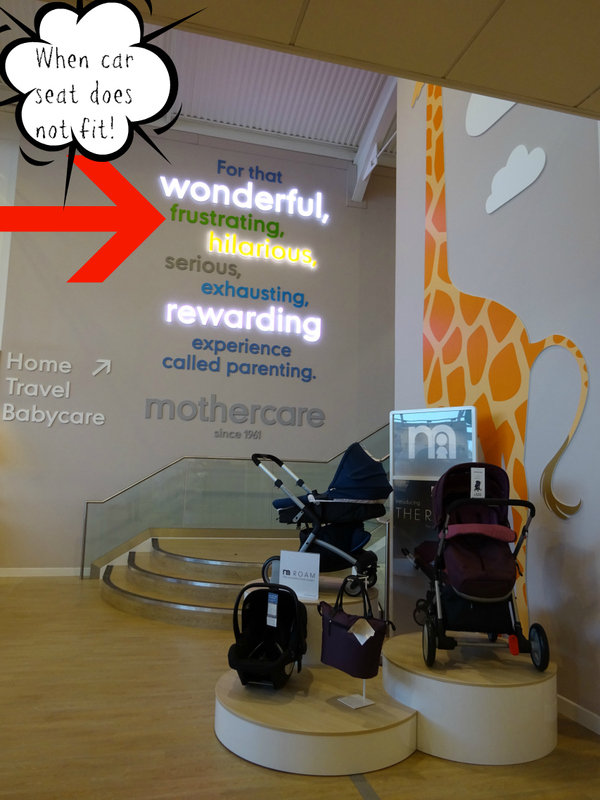 Oh and this Mothercare store is a shop we've been in and out of lots in recent weeks and we've bought ALL of our baby related stuff there, none anywhere else. Anyway, then we were like "what do we do?" I said to hubby if we use Aaron's car seat the only buggy I can click it onto when we arrive anywhere is Aaron's and although I did keep his buggy it's really too scruffy to reuse. So I was thinking, do I just resolve that I baby wear her constantly, until I am ready to have her forward facing in a stroller type buggy? But I knew that back when I had Aaron, I also did not have a carry cot (I had a Mothercare Curv that although called a travel system did not come with a carrycot, although it did come with a car seat AND back then you did not need adaptors to put your car seat on your stroller - such a con when they are £30!!!). My worry about babywearing is I will be post-op as I am having a csection. You could say "well you babyweared Aaron and you had a section too then, but the HUGE difference was I stayed inside for 40 days in adherance with my yoga and with school runs and suchlike that is not at all an option this time, so once paternity leave finishes, I need to be good to go, post-op or not!!! The thing with Aaron was like I said we only left the house once in 40 days, so when I did leave (1) it was Summer so having him on the lowest setting of the stroller was no problem and (2) when I wanted him parent facing I put him in the car seat and (3) when I was out for longer than he could tolerate the car seat I'd have him in my Moby Wrap. Mothercare did tell us Tuesday something we did not know, which was that as his car seat has been stored in the attic we cannot resuse it anyhow, whatever the circumstances. Unfortunately Daddy picked The Orb, which didn't come with a car seat but our Sales Assistant convinced us to get the Joie I-Gemm Baby Car Seat in Pavement, which was perfect as I had secretly changed the order for The Orb from black to grey (Charcoal Twill), which complimented the pavement perfectly. She said that the car seat wasn't listed as one that officially fits the buggy, but that "in her experience" she knows it DOES fit as long as you buy the adaptors which you have to get with the listed ones also anyway. We were in such safe hands with her we believed everything. Looking back on it I have NO IDEA why the Joie was chosen, as at the time I had assumed it was for cost reasons (to make up for the fact our travel system did not include a car seat) but I am looking now and the Maxi Cosi Cabrio Fix is compatible and £135 and the one pictured above ordered for us was £130. But despite neither the staff member nor us being in a hurry a car seat car fitting was never ever discussed or mentioned. 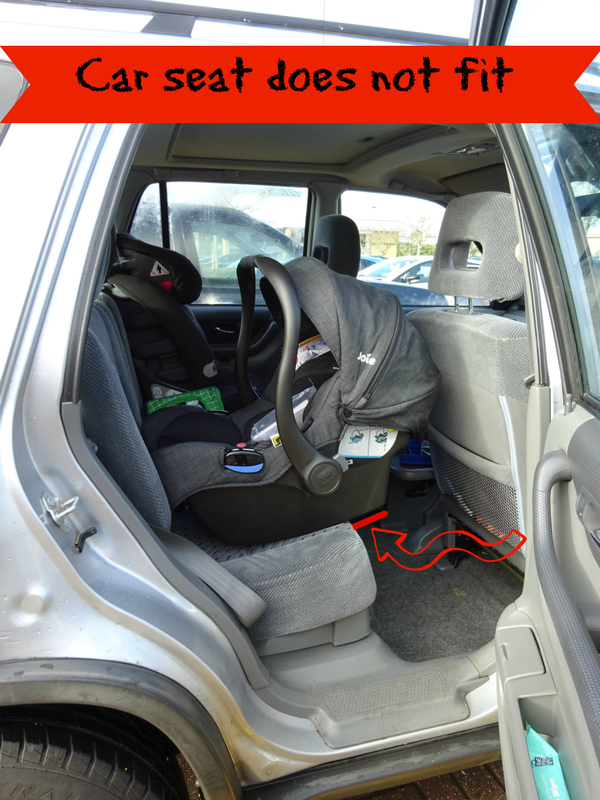 And apparently is *is* standard practice to fit display car seats (it doesn't have to be in stock). Anyway we ordered the two products you see above Tuesday 19th and went instore to collect them Friday. What makes it WORSE, way WORSE. is that the boxed one above was not fitted in our car Friday. So as to keep it safe in its box, they said "let's fit the display model". I was a bit twitchy about that, as my brain straight away worked out if that was possible Friday then surely that could have been done Tuesday. My twitchy feeling was there for a reason - the car seat did NOT fit the car!!! Thank God that sliding doors meant my c section was postponed to Monday (see: planned c sections can be delayed) as I was there to deal with it and the girls who called themselves the dream team who sorted it out. They said "we won't leave you till we find a car seat that fits your car" - they were even ambitious they might have one IN STOCK, but we were NOT to be that lucky! The store is SO NEW it even has parking bays outside it, dedicated for car seat car fitting, so we went in and out until we found "the one", which happened to be the Cybex Aton, the irony of which being that it was £120.... so why it wasn't in the running Tuesday 19th perhaps I will never know. It still means spending £30 on adaptors but now we have The Orb which is parent and forward facing, this isn't as urgent as it would have been if I was making do purely with the Oyster Lite, which by the way, thanks to My Hermes is still yet to arrive (they say 3-5 days delivery and it's been over 10 and counting). So my current umbrage with Mothercare is (1) that the car seat was not fitted on Tuesday 19th and (2) that when we did find one that fitted on Friday 22nd we had to go to a store 25 minutes drive from our house Saturday to collect it. That's obviously in addition to the drive to and from the store on Friday. Now you may think that's "no big shakes" but what you have to remember is I am nearly 40 weeks pregnant, need to reserve my time on my feet for other things AND it means that making this purchase took THREE visits instore, with the first two being circa 90 minutes each... my time, patience and our petrol are all precious. We ALLOCATED Friday afternoon for picking up The Orb and car seat - we did not expect to have Saturday eaten into toooooo. It's not really good enough Mothercare. 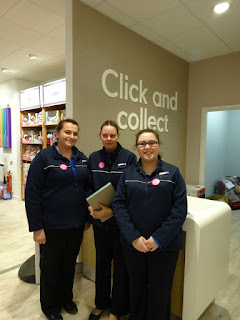 When you spend over £400 as against the £74 you had planned you expect better service and thus far no apology of any consequence (apart from from the darling girls pictured above and the lovely ladies in the second store (we visited Saturday) has been offered). In the initial store the Manager scurried around like a mouse and seemed to give off the vibe "the girls have got it in hand" and only got involved as I was walking out, to go over and ask them to fill him in. He could have waited till I'd got outside but obviously impatience got the better of him - he's lucky that MY impatience didn't get the better of him. I have 24 years experience in retail management and am a bit of a force to be reckoned with when I go "on one" - it was only the cheeky cheerfulness of the girls that stopped that happening and perhaps a pink bundle of joy in my tummy. But Mothercare I do expect an apology that comes from someone senior. @NewMumOnline Sorry but we dont seem to understand the query? @NewMumOnline Oh ok, so sorry about this? So are store dealing with this? Is it sorted? You really couldn't make it up. 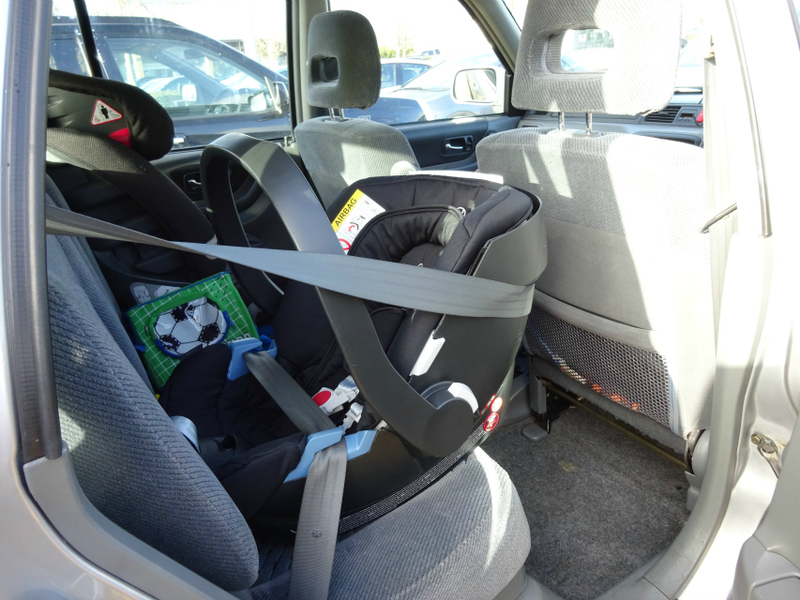 The girl who sold us the wrong car seat was amazing. So patient and so helpful. The 3 girls who resolved it were wonderful too. But it doesn't take away from the fact that 1 trip to store became 3 and the 3rd one was to a store that was far from local. Yes we could have gone Friday but it would have meant (1) going during school run (2) going during football or (3) going during commuter traffic so we opted for Saturday, which obviously came with the normal traffic jams of weekend shopping. Petrol and time both have a value and so does my health when I am this close to giving birth - it's not at all funny. 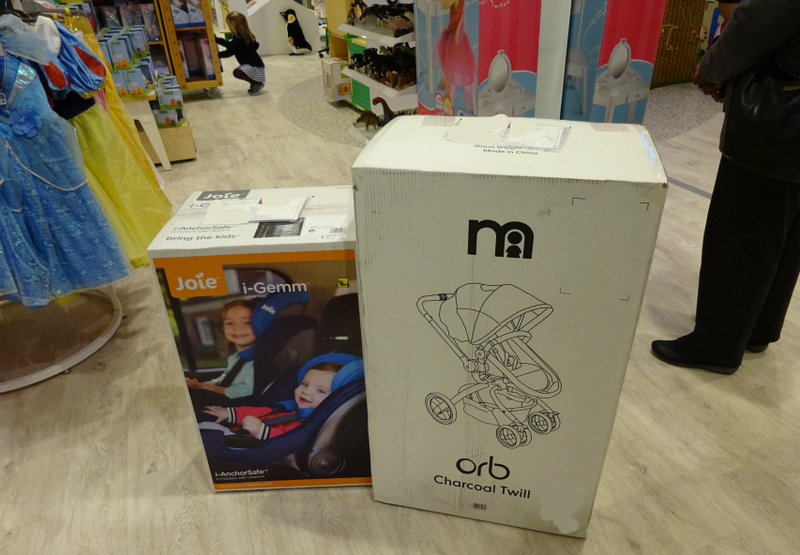 Plus, when we did get to the final store, whereas the Joie car seat was in the beautiful box you see pictured above, the Cybex is just in a plastic bag, like it's a customer return. I've taken it purely trusting the staff that they get more than 1 delivered at a time, so HAVE to store them like this. If this turns out to be untrue, you'll hear me screaming in Mars or America. Like I've said, my c section was Thursday 21st and the hospital postponed it to Monday 25th Jan (they made this call Wednesday, the day after my Orb and Joie had been ordered). Had that not happened, hubby would have been dealing with all of the above, alone and with me in hospital ringing him again and again and again saying "where are you?" You're not allowed to leave hospital without the car seat so it would have been a big deal and I would have wanted hubby by my side, not spending 90 minutes with staff and not spending 25 minutes going to another store. Mothercare you are just lucky my c section WAS postponed as my fury would be a whole lot worse, if I was in hospital when all of this took place. It's not like when I had Aaron on Tuesday and got discharged Saturday. Now they do enhanced recovery, so c section one day and discharge the next. Hubby would have expected to just POP IN to get the car seat on the way to hospital not deal with the drama above and I would have been on a clock dealing with the people who would want to clean up my bed and the people who'd be discharging ME and discharging BABY. I still cannot get over the irony that Friday, our fitting was done with a display car seat, not even the one we'd bought/paid/waited for on click and collect. So THAT could have been DONE on the Tuesday and it'd have never been ordered!!! 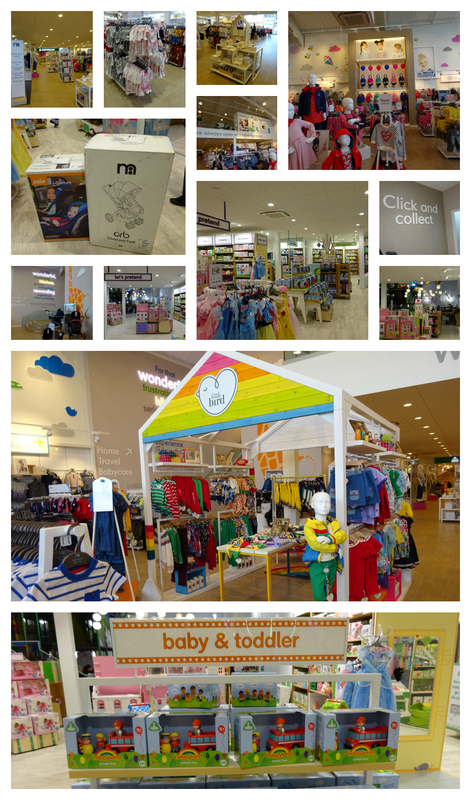 An exciting shopping experience that became a mammoth task of complexity, service, driving and store visits. Yawn. Where is my baby. Just thank God that ALL of the staff concerned were adorable. But now I want to hear from someone senior thank you, or at least receive a tweet or email that actually makes sense! Good luck tomorrow! Hat a nightmare with he car seats bough - this sort of thing frustrates me no end!